Nurses in every position, specialty, and healthcare organization are going to face challenges in 2019. Technology continues to change at a rapid pace, the need for cultural sensitivity will expand, and pressure to work long hours while remaining sharp, attentive and skilled will remain part and parcel of the profession. 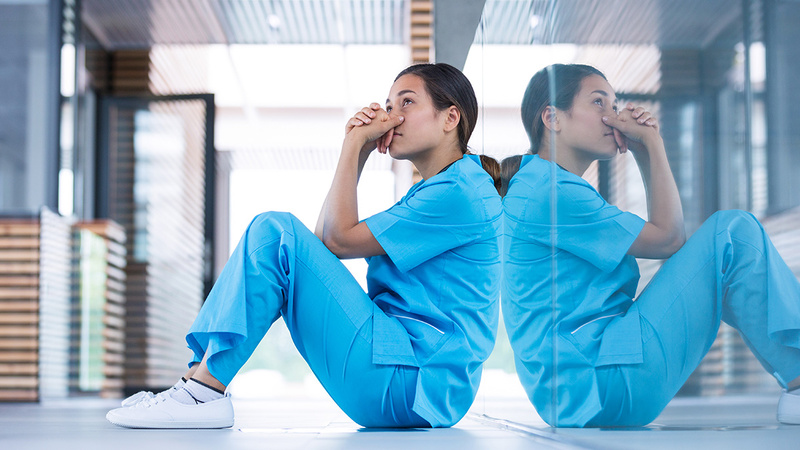 The challenges have a different face depending on whether you are a nurse manager or working directly with patients on the floor, but one thing remains true; nursing is one of the highest callings with one of the highest levels of stress. Here are the top five challenges nurses will face in 2019. For nurse managers, recruiting and keeping excellent nurses is going to be a challenge. Demand for nurses started increasing in 2016 and it isn’t expected to level off until 2026. The Bureau of Labor Statistics says that more nurses are needed because of “an increased emphasis on preventive care; growing rates of chronic conditions such as diabetes and obesity; and demand for healthcare services from the baby-boomer population, as they live longer and lead more active lives.”Staffing is always a sticky issue, but as demand for nurses rise, keeping good employees is going to become even more challenging. The more things change, the more they stay the same. It doesn’t matter what type of technology you work with; you know it is going to change. The challenge is to stay ahead of it. Chief nursing officers, nurse managers, and floor nurses are going to have stay abreast of technology and adopt the systems that improve patient care. Nurses have to be trained on the new technology, whether it is enhanced EMR/EHR, patient glucose monitors, patient scheduling systems, or software platforms that enhance patient/family/provider communication. Some healthcare organizations may bristle at technology costs, but as the time savings and quality improvements become clear, adoption increases. The United States has always been a melting pot, and it remains so despite a rather raucous political climate toward immigration. As a nurse, being culturally aware and sensitive to the cultural mores of patients is essential. Missteps can quickly become obstacles to the delivery of care. Awareness: Be aware of your own cultural “identifications” in order to control any personal biases that may interfere with caregiving. Acceptance: As a nurse accepts patient conditions, he or she allows patients to articulate their feelings without judgement, opening themselves to care. Asking: Always ask about things you may not know or understand. When in doubt about how to provide care that complies with the patient’s cultural requirements, ask the patient. Possessing “cultural skill” is essential for every provider. It is the ability to collect information specific to the patient’s culture, and relevant to the presenting health issue, during the initial assessment. For nurses, it is a function as important to delivering appropriate care, as gathering blood pressure and temperature readings. Nurse managers and other nurse leaders name employee engagement as one of the leading healthcare challenges of 2019. Nurses want to work for leading institutions. They want recognition, support, to be engaged and have a voice in organizational initiatives. Employee engagement differs widely from one organization to another, but the point is this: in a day and age when nurses can select the best employment because demand is high, it stands to reason they will gravitate to the organizations that engage them. To maintain a skilled, experienced nursing workforce, healthcare organizations will have to find a way to give nurses a seat at the table in quality, safety and other patient care projects. When nurses feel they are part of a bigger team they feel recognized and that leads to greater job satisfaction and retention. It’s easy to scoff at the concept of self-care. Working full-time and taking care of one’s family is challenging to begin with. How is one supposed to add self-care to the list? It may seem impossible, but the reality is that self-care is one of the most important things that any nurse can do to preserve longevity in the job. Finding a way to reduce stress will promote physical, mental, and emotional health and help to prevent burnout. Self-care isn’t just a challenge for the individual nurse, it’s a looming issue for nurse leaders as well. Promoting self-care, and integrating it into the workplace, can improve mental health and productivity for the nursing workforce. It can also reduce illness and sick days. It’s not enough to tell nurses that self-care is important, forward thinking organizations will help them make it a reality through workplace programs and support. 2019 promises to be another challenging year for healthcare. Only stable, proactive organizations will attract the best nurses and keep them. The hospitals, health systems, physician practices, and many other points of care that pay attention to the very real needs of professional nurses are the ones that will maintain a stable, highly skilled workforce that delivers excellent care.